You have a small rectangle in which to write a story. Your mission: fill this LED-lit object with simple and concise words that convert. Eyes focus on the centre upper half. Just like an agile whitewater rafter in the Grand Canyon, your (first) words manoeuvre and propel them further. Over the next paragraph, and the next. Until they reach the finish line. A finger presses a button. Whew. Mission completed within eight seconds. American author, Ernest Hemingway, wrote a story using only six words: ‘For sale. Baby shoes. Never worn.‘ Six-word stories are still a rare exception; but, for how long? A Microsoft study shows that our attention span has gone from 12 seconds to eight seconds within a span of 13 years. And it seems that the more we use our smartphone, the shorter our attention span becomes. 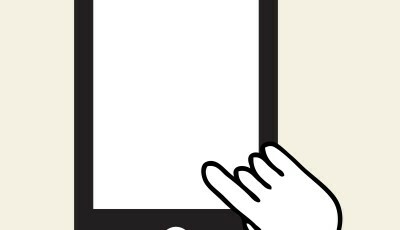 With mobile use on the rise, the focus is shifting from desktop to mobile copywriting. A clear, compact and visual writing style is nowadays essential. Hemingway’s minimalistic writing style (the Iceberg Theory or Theory of Omission) is helpful in writing for today’s heavy mobile users. Clear and simple language in which the reader implicitly grasps the (deeper) meaning or message. Writing less requires more time and energy. It also means you have to write better copy. 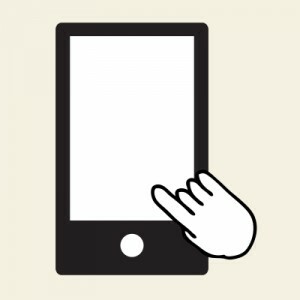 Neil Patel’s article on how to write engaging content for mobile readers, explains why mobile device usage is different from desktop. For one, mobile viewers look mainly at the centre and top half of the screen (see eye-tracking study by Briggsby). Desktop users, on the other hand, focus largely on the upper left corner. An F-shaped area known as the ‘golden triangle’. This is why writing more powerful content above the fold is crucial in seizing mobile readers’ attention. People also look at images more than they view text. To save precious screen space, Neil suggests using fewer images (especially if they don’t advance your point). New mobile copywriting style guide? Maybe a new style guide for mobile readers needs to be invented. For starters, to save space, maybe eight should be written 8.